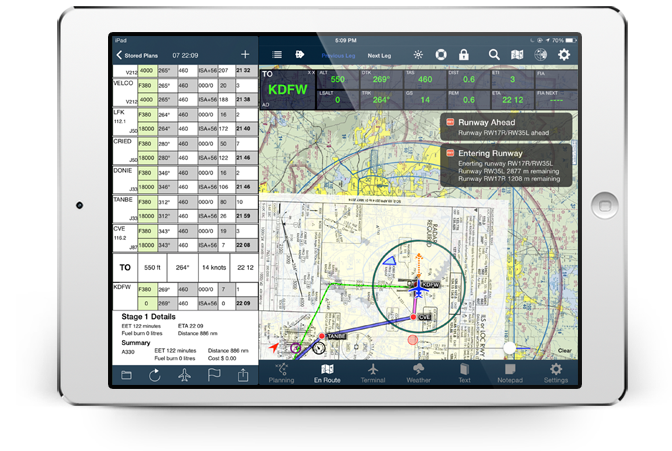 AvPlan EFB is the leading flight planning application for the Apple iPad and iPhone. It is available from the Apple App Store. Envisioned, developed and rigorously tested by pilots for pilots. Focused on continuous improvement, the team at AvPlan EFB consult with our Product Design Board comprising senior CFI’s and pilots active in all major aviation segments. 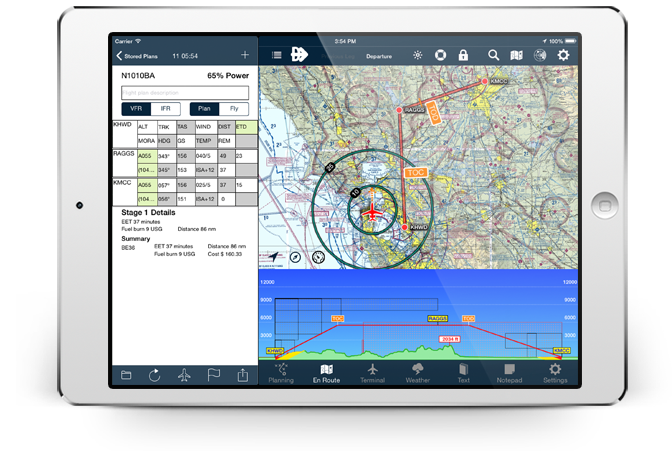 Subscriptions for AvPlan EFB are available for purchase inside the app, or directly from our website. Subscriptions through this site come at a discounted rate over those available through the app, as it bypasses the Apple royalty payment. Your AvPlan EFB subscription can be used by you on up to three (3) devices. Designed as the go-anywhere lifetime EFB application that can grow with you – from local VFR recreational aviation through to professional Part 135 charter and Part 121 airline operations, AvPlan EFB has been designed to leverage your investment by using the portability, connectivity, ease of use, reliability and processing capability of your Apple iPhone and iPad. Responsive, powerful and portable, AvPlan EFB’s context awareness engine ensures it’s always ready to provide you with the best possible information at your fingertips whether you’re preparing for a flight or airborne. Customizable fuel plan, including climb, cruise, descent, alternates etc. Full database of worldwide airports, navigation aids, waypoints, visual tracking points and designated IFR routes. Built in AFD and Terminal Procedures. 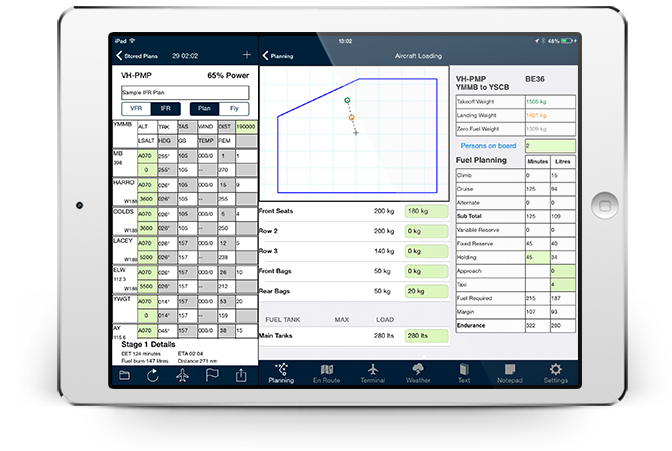 Export flight plans to your handheld Garmin GPS, Garmin G1000, Jeppesen FliteDeck on your iPad. In addition to creating a flight plan, AvPlan EFB can then be used in flight with all the above features to keep track of all in flight planning activities. It acts as a self-updating flight plan, calculating departure times, estimated en route times and arrival times. AvPlan EFB extends the electronic flight bag concept into something that is in a league of its own – the Electronic Flight Plan. Maps can be rotated to suit any orientation – just like a paper chart. Fixes can be added in flight, again just like noting down a fix on a paper chart. A comprehensive user manual for AvPlan EFB is also available. This can be downloaded and imported into iBooks. Download today to start 30 day Free Trial!